Visiting Birmingham and searching for a place to swim? Nice choice! Don't neglect to tell us how did it go. Introducing now Sparkhill Pool and Fitness Centre swimming pool, a fantastic swimming pool sent by a swimmer like you couple of days ago. Have you visit this pool? Do you perform here? Please, contact us in case you have details that you simply think is gonna be useful and remember from now on you are able to now promote each pool just by sharing this page with your pals or adding comments in the Facebook boxes below. Come on and help this pool to be the first in Birmingham! Among all the activities supplied by the centre, if you are enthusiastic about swimming you are going to enjoy 30 meters, 5 lanes, Indoors. If you will need to contact this Swimming Pool, e-mail address and phone number are both number. If you believe that any of the knowledge is incorrect, please make contact with us. Assist us be better day-by-day. Shirley Rd. , Acocks Green , Birmingham , England , UNITED KINGDOM (Postal Code: B27 7NS). Among all of the activities supplied by the centre, for anybody who is interested in swimming you may take pleasure in 25 meters, 4 lanes, Indoors. If you must contact this Pool, email address and phone number are both number. Vicarage Road , Kings Heath , Birmingham , England , UNITED KINGDOM (Postal Code: B14 7QJ). Among all the activities offered by the centre, should you be interested in swimming you'll enjoy 25 meters, 4 lanes, Indoors. Mason Road , Erdington , Birmingham , England , UNITED KINGDOM (Postal Code: B24 9EJ). This sports centre gives 25 meters, 6 lanes, Indoors. Contact data for this Swimming Pool which include phone number and email address are number. 20 Ashbrook Drive , Rubery , Rednal , Birmingham , England , UNITED KINGDOM (Postal Code: B45 9FN). Among all the activities supplied by the centre, when you are interested in swimming you may enjoy 25 meters x 6 meters, Indoors. Just in case you wish to make contact with this Swimming Pool before dropping by, we only know the phone number. National Exhibition Centre , Birmingham , England , UNITED KINGDOM (Postal Code: B40 1PP). Swimmers like you reported 20 meters x 20 meters, Indoors. Phone number and e-mail address are number for this Swimming Pool. Woodcock Street , Aston Triangle , Birmingham , England , UNITED KINGDOM (Postal Code: B 4 7ET). Among all of the activities offered by the centre, in case you are keen on swimming you are going to enjoy 25 yards x 9.75 meters, 3 lanes at all times (slow, Indoors. If it is advisable to make contact with this Swimming Pool, email address and phone number are both number. Farnborough Road , Castle Vale , Birmingham , England , UNITED KINGDOM (Postal Code: B35 7BE). Swimmers like you reported 25 meters, 6 lanes, Indoors. Phone number and e-mail address are number for this Pool. Holly Road , Handsworth , Birmingham , England , UNITED KINGDOM (Postal Code: B20 2BY). This sports centre delivers 25 meters, 6 lanes, Indoors. Contact data for this Pool for instance phone number and email address are number. Updated on 2019 Bristol Road South , Northfield , Birmingham , England , UNITED KINGDOM (Postal Code: B31 2PD). Among all the activities offered by the centre, for anyone who is considering swimming you might take pleasure in 33.3 yards, 5 lanes, Indoors. If you need to make contact with this Swimming Pool, email address and phone number are both number. Muntz Street , Small Heath , Birmingham , England , UNITED KINGDOM (Postal Code: B10 9RX). Swimmers like you reported 25 meters, 5 lanes, Indoors. Phone number and e-mail address are number for this Pool. Newtown Row , Aston , Birmingham , England , UNITED KINGDOM (Postal Code: B19 2SW). Swimmers like you reported 25 meters, 6 lanes, Indoors. Phone number and email address are number for this Swimming Pool. 69 Alcester Road South , Kings Heath , Birmingham , England , UNITED KINGDOM (Postal Code: B14 7JG). Among all the activities offered by the centre, if you are keen on swimming you are going to delight in 20 meters x 8 meters, Indoors. If you have to contact this Swimming Pool, email address and phone number are both number. Beeches Road , Great Barr , Birmingham , England , UNITED KINGDOM (Postal Code: B42 2HQ). Swimmers like you reported 25 meters, 6 lanes, Indoors. Phone number and e-mail address are number for this Swimming Pool. Updated on 2019 Alcester Road South , Kings Heath , Birmingham , England , UNITED KINGDOM (Postal Code: B14 6ER). This sports centre offers 25 meters, 4 lanes, Indoors. 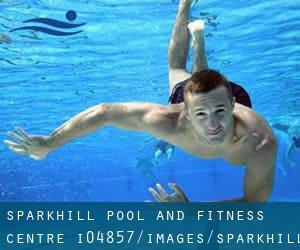 Contact details for this Swimming Pool for example phone number and email address are number. Lordswood Road , Harborne , Birmingham , England , UNITED KINGDOM (Postal Code: B17 9QS). Swimmers like you reported 25 meters, 6 lanes, Indoors. Phone number and e-mail address are number for this Swimming Pool. Are you a member of employees or know effectively this place? Please, contact us to validate this data.